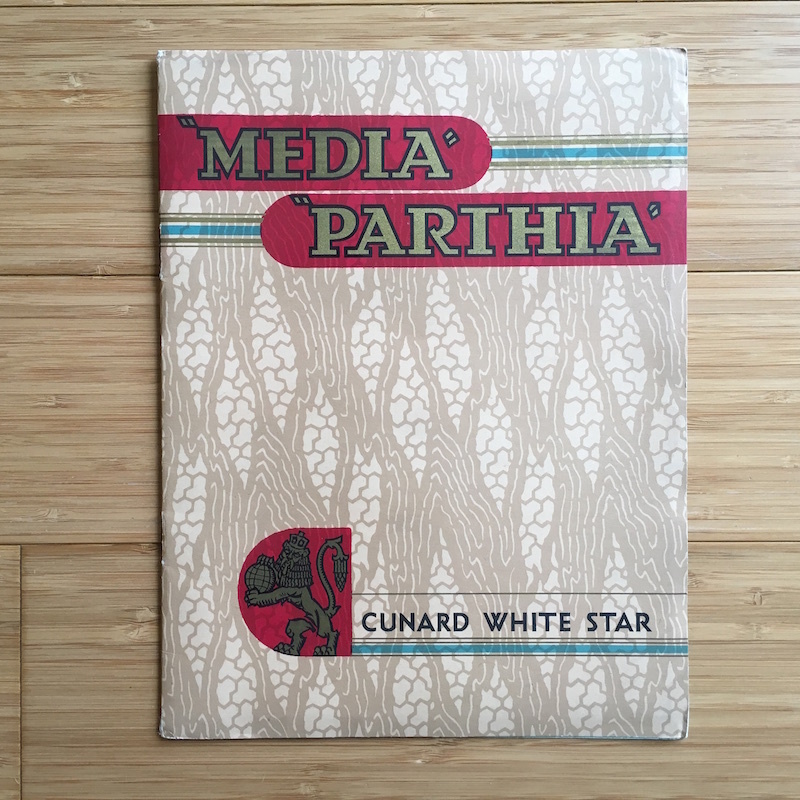 “The ships of to-morrow.” Super 8-page entry-into-service brochure for the Media and Parthia produced at the time of their maiden voyages in 1947. 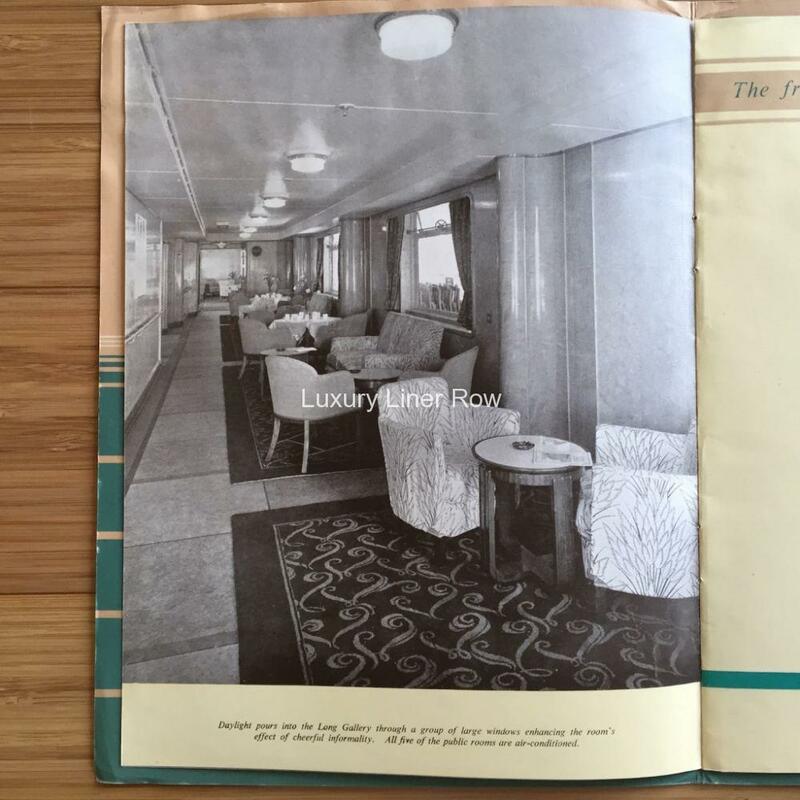 While Cunard billed these ships as all first class, it is safe to say that, being on the secondary service, the interiors have a distinctly Cunard second-class vibe. 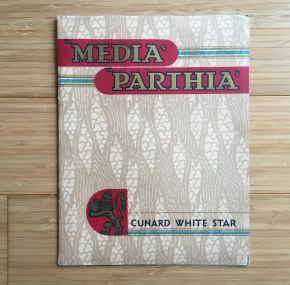 This is not a complaint, in fact, I find them a fascinating insight into what Cunard was planning when times were good and the company was flush. Beautiful interiors and exterior views including the full foldout center spread. In excellent condition with slight bumping to corners. 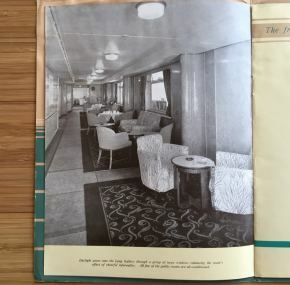 This brochure is quite popular because Cunard did not do much promotion for these ships.